This off-the-beaten-path, natural spa is one of Jamaica's hidden charms and unknown to most travelers. An experienced guide leads your forty-five minute climb through the mineral infused water, while revealing various secrets of the falls. Mayfield Falls is still quite a discreet waterfall, usually allowing its guests to have a completely private experience. This attraction can easily be paired with Caving @ Roaring River and Blue Hole Gardens for an additional cost. An optional drive through Westmoreland's capital city, Savannah-La-Mar, is also offered en route. 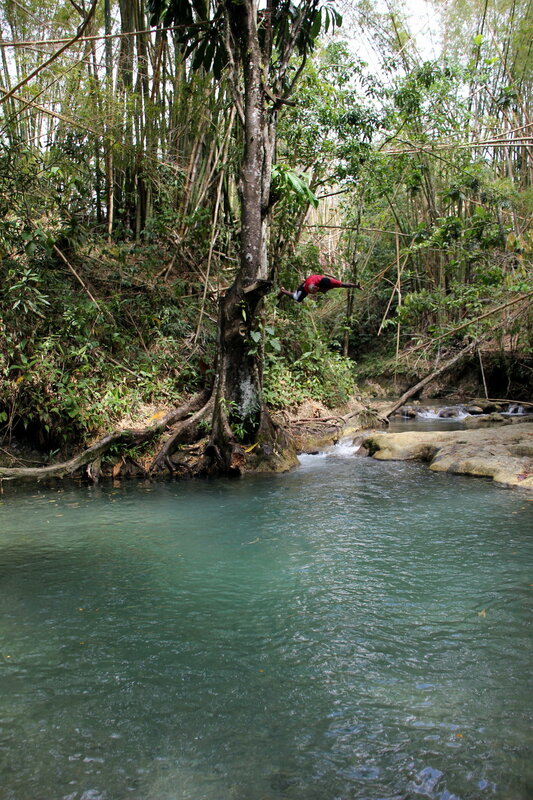 Mayfield Falls is an hour and twenty minute car ride from Negril. Mayfield Falls is a two hour car ride from Montego Bay. Duration of climb: 45 Minutes. Mayfield Falls is open seven days a week.